What Is a Level 2 Chimney Inspection? If you use a chimney to vent a fireplace, wood stove, water heater, furnace or boiler that burns wood or fossil fuels, it’s critical that you perform regular chimney inspections and maintenance for the safe operation of your system. However, the type of chimney inspection you need depends on a number of factors. 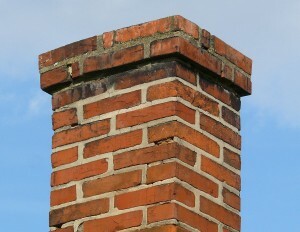 Are you buying or selling a home that has a chimney? Have you had a building fire? Have you had a chimney fire? Has an earthquake or strong storm damaged your chimney? Have you had an operational malfunction with your chimney? Are you making changes to your heating system, such as changing the fuel type that’s burned, or adding/replacing an appliance with a new appliance that is different from your current equipment or has a different input rating or efficiency? Are you re-lining your flue? Are you making changes to the materials that your chimney is made of? If you can answer “yes” to any of these questions, the Chimney Safety Institute of America (CSIA) recommends that you have a Level 2 Chimney Inspection completed by a certified chimney professional, like those at T.J.’s Chimney Service in Greenfield, IN. Clean the flue system before his visual inspection. Inspect all the accessible portions of the chimney’s exterior and interior, including attics, crawl spaces and basements. Make sure there are proper clearances from combustibles in accessible locations. Look for damaged masonry and cracks in the flue liner as well as other issues that may affect the safe usage of the system. If damage is found, it should be repaired. During his inspection, the chimney technician may use still photography or video scanning equipment to examine the internal surfaces and joints of the flue liner. Other than a screwdriver, pliers and a flashlight, he shouldn’t need any other special tools to open doors, panels or coverings. So you don’t have to worry about any damage to permanently attached portions of your chimney, the structure or the finishes. For your safety, ensure that your chimney is in good shape and operating as it should, by scheduling a chimney inspection with the professionals at T.J.’s Chimney Service. Call 317-455-5310 to make your appointment.